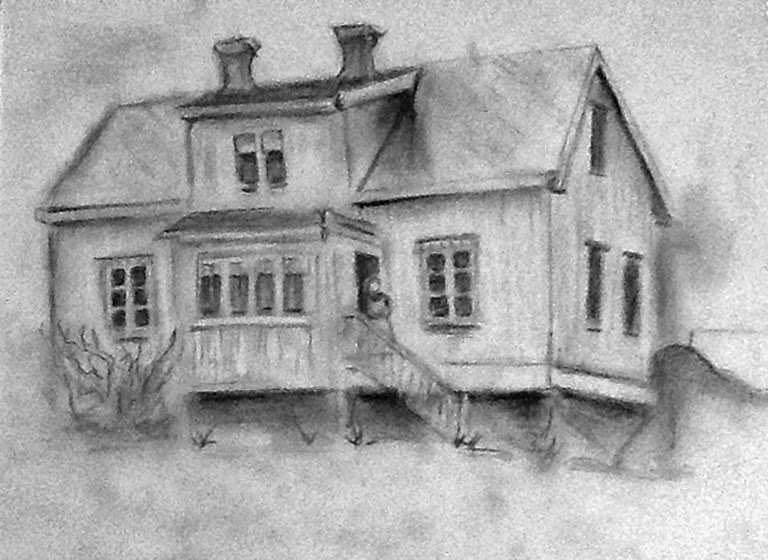 I finally finished the pencil sketch of the farmhouse my daughter-in-law's ancesters owned. I had an old photo to work from. It was extremely difficult for me maybe because I hadn't done pencil sketches from real houses for years. There are lots of erasures and it's still not in the correct proportions but this is it. I hope she likes it! This is mighty nice, Annette. Good to see you sketching! !